Não espere do seu filho o que ele não pode fazer. We all know that parents want the very best for their children. They spare no effort and sacrifices to provide quality of life for them, such as good education, sports, music, health, travel, toys, etc. Sometimes, in their eagerness to see them winners, parents demand from children the same dose of commitment and achievement. 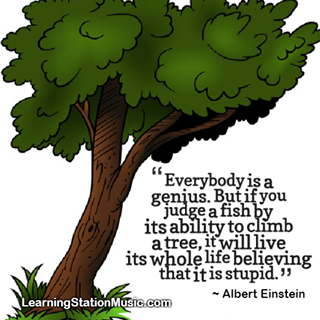 However, it is important to consider that each individual is unique and has its strengths and weaknesses. We can not expect a child who has little skill in a particular area to be able to demonstrate competence in it. On the other hand, with training, specific exercises, patience and routine, we can achieve good results in the medium term. What matters is to create them with love, attention and dedication. Posted on January 30, 2014 by paulalyra	• This entry was posted in Videos. Bookmark the permalink. Parents, try to save some time to read about this post. Thank you!